I made many games as a freelancer, and they were all casual mobile games. I wanted to make something different this time. 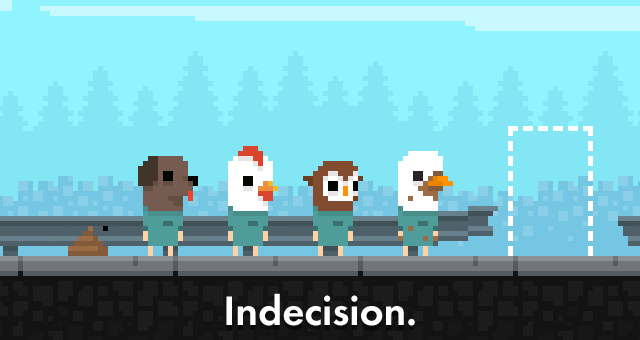 So, I started “Indecision.” as a personal side project. It isn’t for everyone, but you are welcomed to try it. The game won’t take too much time to finish. Genius! I admire your creativity! Haiku platformer… what a poetic genre name also.